The Caterpillar Linerlock offers a 3.25" stainless steel blade with a durable bead blast finish. It has ambidextrous thumb studs for easy blade deployment. 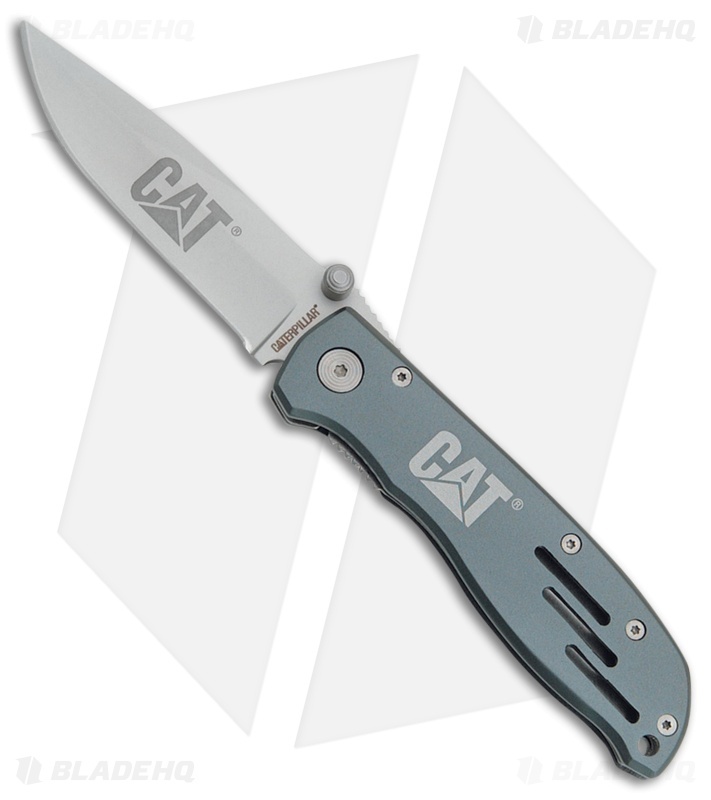 The dark gray anodized aluminum handles features a CAT logo etch and a stainless steel pocket clip.